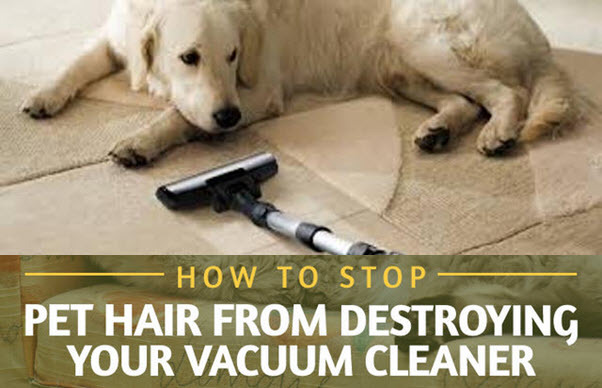 How to Stop Pet Hair from Destroying Your Vacuum Cleaner? Pets can bring a lot of joy into a person’s life. They provide company, security and companionship. They enhance mood, minimize depression and improve the overall quality of life. However there is a downside – pet hair! Many breeds of dogs and cats shed a lot. This pet hair not only sticks to couches & carpets and looks unsightly, it also cause a range of allergies for many people. Naturally people want to clean/vacuum it up straight away. While most people trust that pet vacuums can easily pick up all pet hair, this isn’t the case. 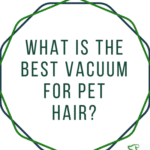 If you have a ordinary vacuum that are not designed for pet hair removals, you run the very real risk of breaking the motor and destroying your investment. To help you out and to keep you a happy pet owner, we provide excellent tricks that will keep your house clean and your vacuum safe!. There are hundreds of these vacuum cleaners on the market, either canister, upright, stick, handheld, etc. They are designed specifically to cope with pet hair. The filter system, the bag or bagless collection system, and in many cases even the motor are all designed to cope with the vast quantities of hair you will be sucking up. The cheaper cleaners while working for a while, won’t last very long time when dealing with pet hair. Chances are you will have to replace the machine within several months. 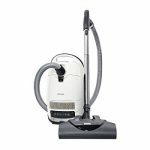 So, stick with a vacuum made specifically for pet hair removals, like the best-rated Miele Complete C3 Cat & Dog Canister Vacuum. Bear in mind, no matter how hard you try and avoid this happening, with normal vacuum cleaner filtering systems some pet hair including cat hair will get into the motor. When this happens, the suction will start to decrease and it doesn’t take long for the motor to overheat and later stop working. Soon you will have to replaced the machine! For normal filters, dog hair and cat hair either penetrates the filter or blocks it. While some filters can be cleaned, unless it is a washable filter which many of the normal vacuum cleaners don’t have, it is almost impossible to get all of the hair out. So, you may need to replaces the filter and cleaning of other components are needed. The filter on a vacuum cleaner while effective, needs to be cleaned regularly. There are models that only require cleaning every three months; however with pets in the house periodically cleaning the filter is a necessity – especially if you want to keep the vacuum cleaner running well and the suction at the top condition. More importantly, it will stop the vacuum cleaner from overheating and blowing the motor. Spending a few minutes cleaning is definitely a lot better than buying a whole new vacuum. Following video shows how to clean filter & hose. Beside the filter, there are other components on your vacuum machine pet hair can get stuck. You should look through all the pipes and hoses and make sure there are no balls of hair stuck anywhere that could compromise the cleaner. It’s recommended to clean the hose or pipes every three months if you use the vacuum regularly. For those vacuums not designed for pet hair it is pretty fast these can fill up and become blocked in a matter of days. This causes added pressure to the whole vacuum device, affects the suction power and eventually leads to the unit overheating and stop working. Pet hair and normal vacuum brushes and heads don’t seem to like each other as the brushes will get full of pet hair. The best is to get a canister vacuum that come with pet hair tool or attachment. Generally, bagless has several advantages compare to the bagged cleaners when it come to pet hair. So where possible get a cleaner that is bagless and that also includes a dust bin quick release function. See our recommendation of top rated bagless cleaners. But for those that are allergy or asthma sufferers, you should get a bagged vacuum with HEPA filtration system. Pets can add a lot of joy and happiness to life. Unfortunately they can also destroy vacuum cleaners through their hair. As you can see from above normal vacuum cleaners and pet hair are not a match made in heaven. Normal vacuum cleaners are not made for pet hair. Period. If you have cat or dogs at home, we advice you to get a cleaner that are specially designed for pet hair removal. Do the cleaning regularly while maintaining the vacuum is also equally important. If you can do this then you can avoid some unnecessary break out of the vacuum and your house also will be clean all the time. All the best in hunting a reliable yet pet-friendly vacuum cleaner! >> See our editor picks on the best pet hair vacuums! I have two cats, and a dog now. My old vacuum cleaner didn’t stand up to just one of the two cats.I found Arm & Hammer Pet Hair release formula which make the vacuuming more easier at those time, but it clogged my vacuum filters.Then I discovered the Dyson Animal vacuum. Definitely expensive it is but well worth the money. What used to take 10 minutes of vacuuming, now takes 2 and a single pass usually does it. With my old vacuum, it was taking multiple passes. I have not been disappointed with it yet but my family too satisfied.